Alpert is an American investment banker, think tank fellow, and author. He is best known for his writing on the credit bubble and the ensuing financial crisis of the 2000s, as well as his many articles and papers on the U.S. housing market, banking, regulatory matters and global macroeconomics. Alpert is founding Managing Partner of the New York-based investment bank Westwood Capital, LLC and its affiliates and a fellow of the New York-based Century Foundation, one of the nation’s oldest think tanks. Throughout his career, Alpert has been the senior banker responsible for client relationships and execution of debt and equity offerings that were the first of their kind at the time. Over the past 15 years, he has also provided and/or arranged for financing for, and advised both debtors and creditors of, a number of distressed companies – both inside and outside of bankruptcy. He has also provided expert testimony in the U.S. Bankruptcy Court in cases involving debtors involved in structured finance transactions. On Its Jobs Report Card for 2013, the U.S. Economy Gets a Gentleman's "C"
Daniel Alpert quoted in Dominic Rushe, "US Economy Adds 313,000 Jobs in Strong Monthly Display but Wage Growth Slows" The Guardian, March 9, 2018. Daniel Alpert quoted in Safiya Bashir, "US Job Growth Surges in February, Wage Growth Slows" The Investment Observer, March 9, 2018. "Steel Tariffs are a Great Start — but US Trade Policy Needs a Bigger Fix," Daniel Alpert, Business Insider, March 5, 2018. "Guns and Reconciliation in the Trump Era," Daniel Alpert (with Robert Hockett), The Hill, February 24, 2018. Daniel Alpert quoted in Christopher Rugaber, "Why Investors' Fear of High Inflation is Probably Overblown" The Pantagraph, February 8, 2018. Daniel Alpert quoted in David J. Lynch, "Main Street Has Been Watching Prices Rise for a While. Now Wall Street Has Taken Notice." The Washington Post, February 6, 2018. Daniel Alpert quoted on the true state of the labor market in Prashanth Perumal, "Only 'Aggressive' Infrastructure Spending Can Bring Back the Job Market" Business Insider, March 13, 2017. Daniel Alpert quoted on wage growth in Chris Matthews, "The U.S. Economy is Finally at Full Employment" Fortune, February 5, 2016. Guest to discuss the Grexit on Bloomberg Business, Daniel Alpert, July 6, 2015. Daniel Alpert quoted on oversupply in Josh Zumbrun and Carolyn Cui, "Glut of Capital and Labor Challenge Policy Makers" Wall Street Journal, April 24, 2015. Guest to discuss current rate of employment in the U.S. on Boom Bust, Daniel Alpert, April 7, 2015. "The Housing Crisis Never Ended," Daniel Alpert, Business Insider, March 5, 2015. Guest to discuss pressure being experienced by big banks, RBS, Citibank, JPMorgan and Barclays on Bloomberg, Daniel Alpert, March 4, 2015. Daniel Alpert quoted on changes in consumer prices in Jeff Voudrie, "Global Market Trends: Why Deflation is Still a Concern" See It Market, February 20, 2015. Daniel Alpert quoted on the weaknesses of the U.S. economy in Akin Oyedele, "Wall Street Veteran Dan Alpert Dismantles the Idea That the American Economy Will Carry the Rest of the World" Business Insider, February 18, 2015. "No Economy is an Island: A More Rigorous Look under the Hood of the U.S. Economy," Daniel Alpert, EconoMonitor, February 16, 2015. Guest to discuss the likelihood of a euro appreciation due to deflation on Boom Bust, Daniel Alpert, January 21, 2015. Daniel Alpert quoted on yields on 10-year Treasuries in Luciana Lopez, "Treasuries Yields Could Slip More: Westwood Capital's Alpert" Reuters, January 21, 2015. Daniel Alpert quoted on unemployment and wage growth in Lauren Lyster, "Missing Economic Ingredient: Higher Paychecks" CBS News Money Watch, November 7, 2014. Daniel Alpert quoted on student loan debt, "American Debt for Cars, Consumer Goods, Education Increase as Economy Cited Important Election Issue" CCTV America, October 30, 2014. 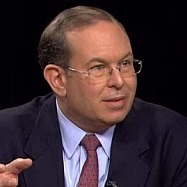 Guest to discuss federal tapering on The Daily Ticker, Daniel Alpert, January 28, 2014. "The Rut We Can’t Get out Of," Daniel Alpert, New York Times, September 30, 2013. Daniel Alpert quoted on the 'toxic business model', "Executives from Biggest Subprime Lenders are Peddling Risky Mortgages Again" Huffington Post, September 11, 2013. "America Isn’t Creating the Jobs Workers Need to Keep Up with the Cost of Living," Daniel Alpert, Business Insider, September 9, 2013. "The Swiss Miss on Executive Pay," Daniel Alpert, Wall Street Journal, March 17, 2013. Daniel Alpert quoted on student loan debt, "Student Debt, the New Home Equity Loan" Bloomberg Businessweek, March 27, 2012. Interview on U.S. BanksDaniel Alpert, Bloomberg TV, March 18, 2011. "2013 U.S. Jobs Report Card: After All is Said and Done, More was Said than Done," Westwood Capital, LLC, December 31, 2013. Summarizes the state of U.S. employment and explains trends in job growth, unemployment, and the labor force participation rate for 2013. "The New Sick-onomy? Examining the Entrails of the U.S. Employment Situation," Westwood Capital, LLC, June 30, 2013. Takes a closer look at recent declining unemployment rates and finds that many factors are actually at play in what is truly a less-than-robust economic recovery; many newly-created jobs are in low-wage sectors or are part-time positions, and reductions in the labor force itself masquerade as reductions in the ranks of the unemployed. The Age of Oversupply: Confronting the Greatest Challenge to the Global Economy (Penguin Portfolio, 2013). Explores the effect of macroeconomic imbalances on advanced economies. "The Way Forward," (with Nouriel Roubini and Robert Hockett), New America Foundation, September 30, 2011. Provides a clear and concise explanation of the issues that gave rise to the global financial crisis.